I just installed a Tekonsha Brake Controller in my Ford E350 XLT Super Duty Wagon tow vehicle. It took some research to figure out how to do it, so I thought I'd pass my new found knowledge along. 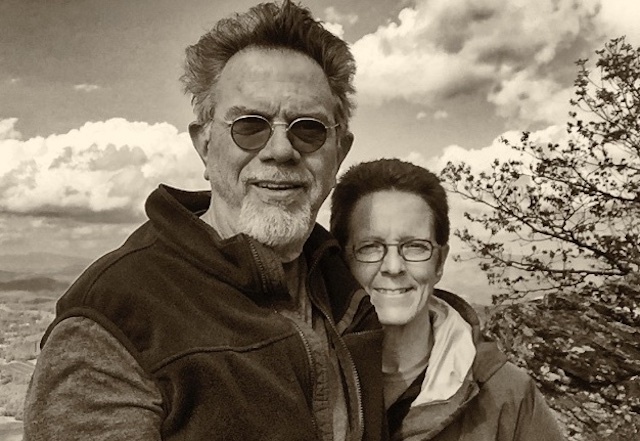 Linda and Woody King are a couple who love adventure. 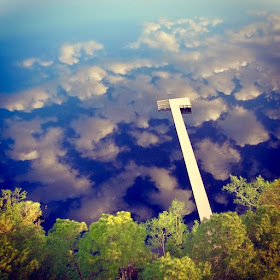 They live on Clarks Hill Lake in South Carolina where they enjoy the peace of the water and fish regularly. A former welder at nuclear power plants, Woody is very handy, and Linda loves all arts, crafts, and Do-It-Yourself (DIY) projects. Together they built a house boat with a Casita Travel Trailer on top of it, as their hideaway from sun and a place to sleep. They are the talk of the lake when they travel in their house boat camper! However, what was missing from their lake adventures were shells! Linda’s Uncle left her a collection of exotic shells that he and his cousin collected daily while working and living in the Middle East. 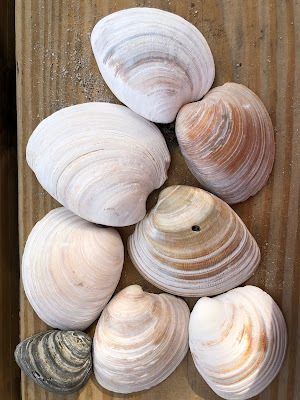 Her Uncle collected 1,000s of shells along the Red Sea, and his cousin dived for exquisite treasures! Boxes of them were left in a storage unit, and Linda was given them upon her Uncle’s death. She put many of the shells in glass cases in her home and used others in jewelry she made for family members to remember their Uncle. The shell collection fanned Linda and Woody’s desire to go shelling themselves. For that passion, Linda and Woody bought an RV, so they could head south, to Edisto Island State Campground—a favorite spot for beach shell combers. 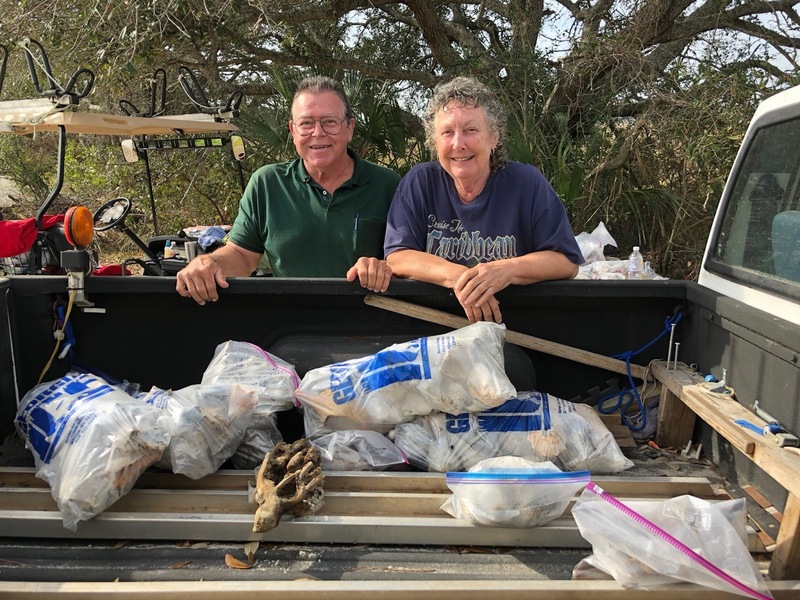 For the past five years, Linda and Woody collect shells several times a year, while camping on Edisto Island. They know the tide cycles by heart and are not afraid of fog or bad weather. They drive a golf cart to the portion of the beach nicknamed “Shell Island” and patiently search through the mounds of shells washed out and in by the tides. After they learned about the town of Edingsville Beach that was on an island beyond Edisto, Linda and Woody were not content merely collecting shells. They began collecting Edingsville Beach artifacts as well. Built in 1825, Edingsville Beach had 60 houses, but by 1866, there were only “41 houses, two church buildings, and a billiard saloon remaining.” In 1885, a hurricane and storm surge decimated most of the homes, with few remaining. The remaining homes were in disrepair and also, slowly, went out to sea. 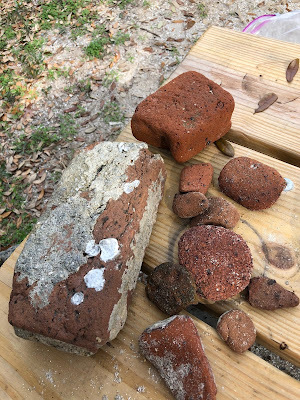 Once Linda and Woody learned about the tragedy of Edingsville Beach, they, like many locals, began to collect pottery, bricks, and polished glass that continue to wash ashore from the vanished town. They share their finds with local people, and all the artifacts are honored. Another use Linda has made of her shells is for pavers! She collects white shells, arranges them in clusters in her yard, packs them in with white pea gravel and voila: A shell path! Woody lovingly pointed out that Linda is on a grass killing mission! 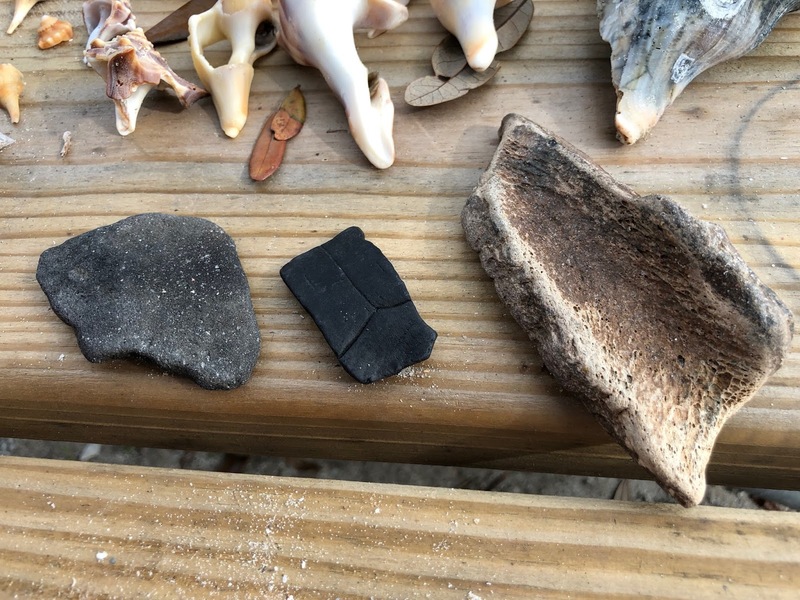 She and Woody also enjoy collecting pieces of turtle shells and fossilized bone. Linda and Woody are always on the lookout! 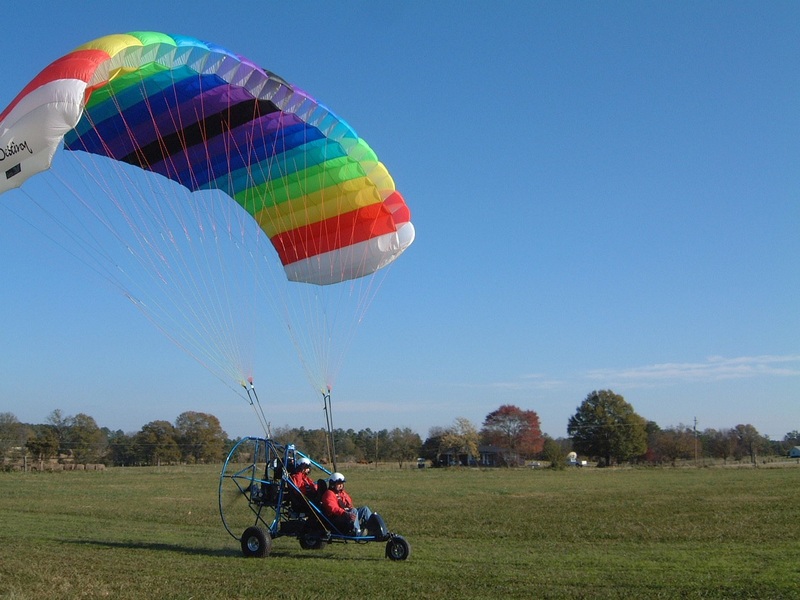 This adventurous couple’s hobbies don’t end there. They also have a passion for the air. Linda and Woody are both pilots and fly an Ultralight Paraglider for Two! There’s never a dull moment for this couple. Linda says, “We’ve been on an adventurous marriage together for twenty-one years! We’re ready for the next one!” Everyone is waiting to find out what the next Linda and Woody King adventure will be. They may have to take up scuba diving or mountain climbing to cover all of their bases! Jim is no stranger to RV life. His YouTube channel, Adventures with Jim, “exploring the world and having fun (and beer) along the way” has 9.4k subscribers; his fan base has been following him since 2012. He has been a fulltime RVer since 2015, and he is now joined by his girlfriend, Angela, aka “Red,” of the beautiful, red ringlets! Jim says that being organized is the key to good RV living and that you have to be flexible. He grew up with a dad who was in the Navy for 21 years, so he was used to moving around. He thinks that a good way to transition into RVing is to rent a storage space, put the things you think you need into it, and see what you need 6 months later. He was surprised to know that he needed very little. Adventure is what you will get if you go to Jim’s YouTube channel or catch him and Red at a campground, Walmart parking lot, or boondocking. They will sit you down, Jim smoking one of his skinny, brown cigars, and Red chiming in now and then. The storytelling will be fun and the comradery worth your time. We had no idea what to expect. Traffic signs on the interstate around home, Charlotte NC, began alerting drivers, weeks earlier to prepare for traffic delays on eclipse day, August 8/21. We have been planning for the #eclipse at least 6 months: made reservations at Lake Hartwell State Park in South Carolina in the path of totality, and purchased a 5-pack of Eclipse Glasses (CE and ISO Certified Safe Solar Eclipse Shades). This was to be our first total eclipse and we were not about to miss it. We left Charlotte on Friday 8/18 for the 3-hour drive south on I85 to our campsite - we wanted to beat the traffic. We didn't get 5 miles outside the Queen City and we were shocked to find ourselves going 10 MPH in 4 lanes of bumper to bumper. We were not off to a good start. The drive ended well, albeit a little longer than usual, but we arrived alive. The campground is full with "eclipse-seekers", kindred spirits, excited all for the big day. Gail was visiting her sister, in central New York, so Terra and I decided to check out a never before visited campground in the foothills of the Blue Ridge Mountains in western NC, less than 2 hours drive from home. This was to be a recon mission for future exploration. There are 3 US Army Corps of Engineers (COE) campgrounds on (or near) W. Kerr Scott Reservoir and after careful research, I decided to stay at Bandits Roost Campground first and check out the others while in the area. What a great place, easy access off highway 421 in Wilkesboro, NC, hidden in the foothills on a beautiful 1,500-acre lake (actually a 1,475-acre reservoir). My immediate reaction was "how have we missed this place in our 14+ years of camping in the Blue Ridge?" The coveted camping on the point. Camping: The campground has 102 campsites, including 17 tents sites and 85 standard sites with water and electric hookups, showers, drinking water and a dump station. There is a gGroup tent area with a covered shelter, water and electricity, a grill, six tables and seven tent pads. 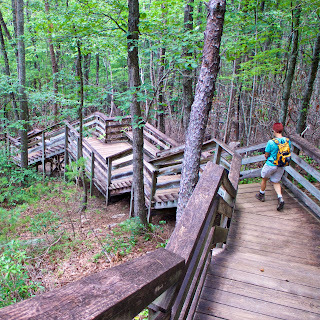 Hiking: Miles of hiking trails surround the lake, including the Overmountain Victory National Historic Trail, which has a trailhead at Bandits Roost campground. Biking: There are 25 miles of biking trails nearby. Driving home after our first trip to Stone Mountain State Park near Roaring Gap, NC I was trying to figure out why we had never been to this fabulous campground in the foothills of the Blue Ridge mountains. It wasn't until a week later that I realized: there are so many great places to camp, all within a 3-hour drive from home, in Charlotte, it takes time to check that campsite box. 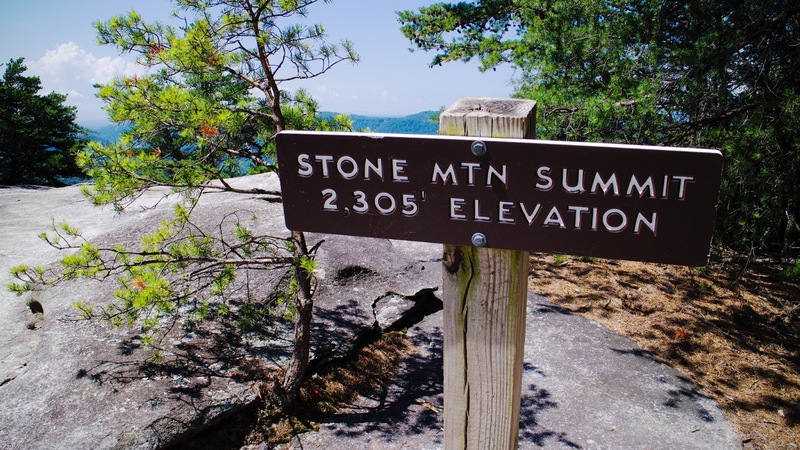 Straddling Wilkes and Alleghany counties, Stone Mountain is a massive granite dome that looms over the 13,747 acre park which is bordered by the Blue Ridge Parkway to the north and the Thurmond Chatham Game Lands to the west. 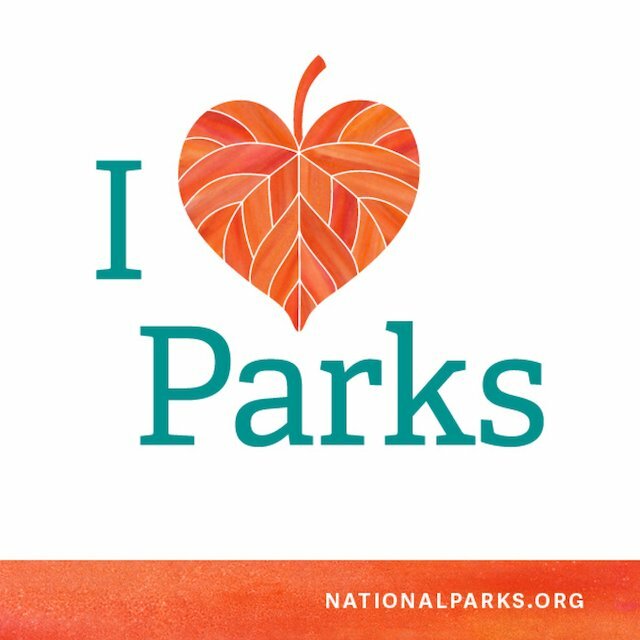 The park was established in 1969 and designated a National Natural Landmark in 1975 by the National Park Service. Camping: There are 90 campsites for tents and RVs located on three different loops. Each site has a tent pad, picnic table, and fire pit. Drinking water and two bathhouses with hot showers are available. Electric and water hookups are located on some sites and a dump station for registered RV campers is adjacent to the campground. The campground and bathhouses are open year round. 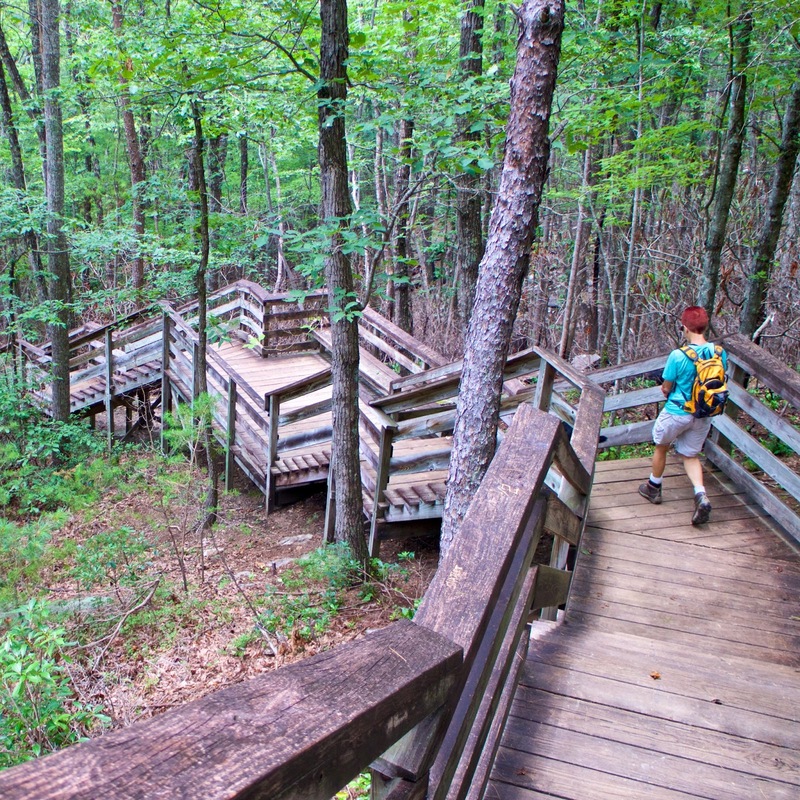 Hiking Trails: There are more than 18 miles of trails that visit Stone Mountain summit, water falls, a historic homestead, dramatic overlooks and trout streams ranging in difficulty from moderate to strenuous. Rock Climbing: Climbing is permitted in designated areas on the cliffs of Stone Mountain. 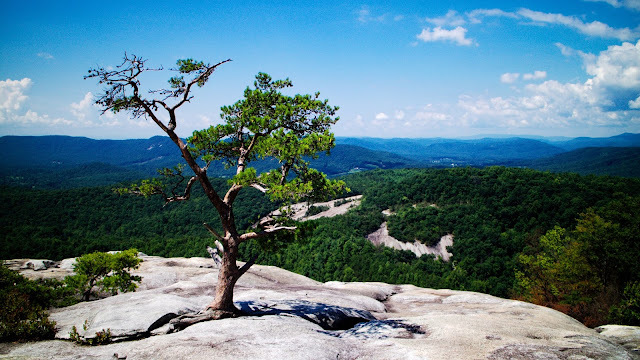 Because of the dangers of rock climbing and rappelling, climbing is not recommended for beginners unless they are accompanied by an experienced climber. Climbers must register at the Visitors center. 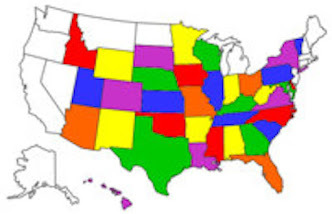 Fishing: There are more than 20 miles of streams designated trout waters. Rainbow and brown trout dominate the lower parts of the streams while brook trout inhabit the higher, cooler stretches of water. Linda sits in her camping chair with her cat, Lucy, on her lap. 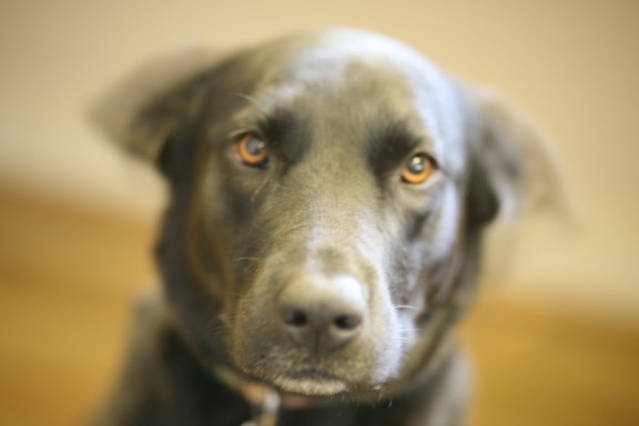 A rescue from a litter of 6, Lucy suffers from a brain tumor, which leaves her totally dependent for survival on Linda and her husband Bill. The vet told Linda to put Lucy down, but Linda is not a person to give up on any being. A 23 year, end-of-life care giver for her grandmother, father, and mother, Linda does not give up on anybody. 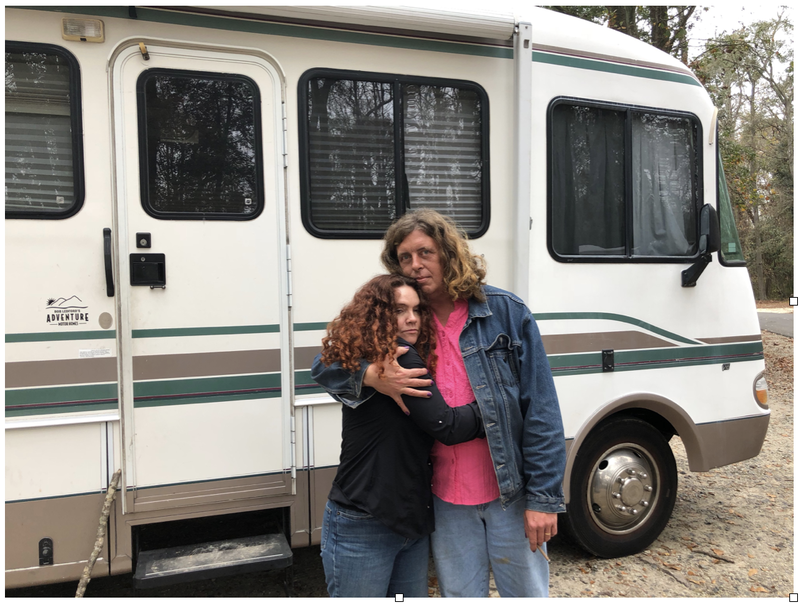 Her mother’s dying wish was to leave her daughter enough money to be able to buy an RV and go travel the country, since Linda and Bill’s care giving rendered them home bound for 2 ½ decades. A year after her mother’s death, Linda and Bill are finally executing her mother’s wish. We caught up with Linda and Bill at Stone Mountain State Park in North Carolina. 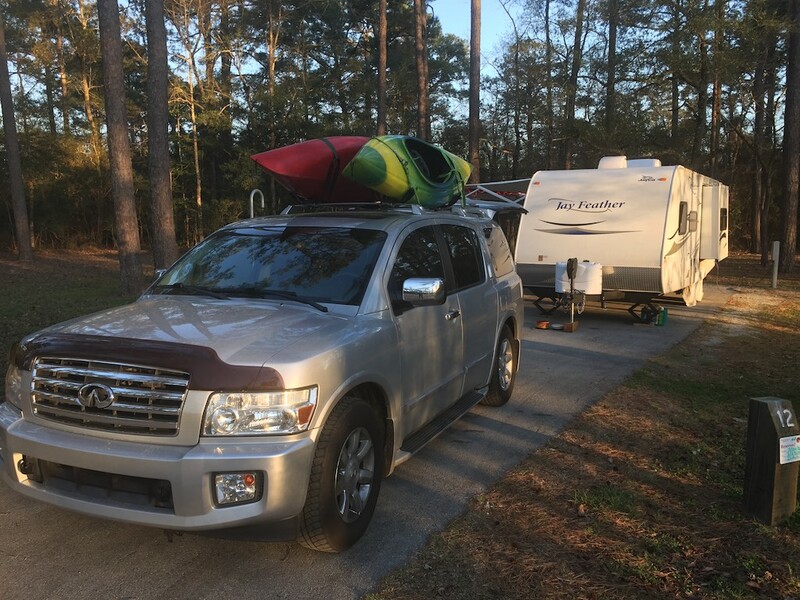 They were on their maiden voyage from DeLeon Springs, Florida, in their brand new 37 foot Georgetown by Forest River trailer. Their first error was to leave the bag of RV manuals on their kitchen table, noticing it too far down the road to turn around. Luckily, says Bill, you can get help with almost anything on YouTube. 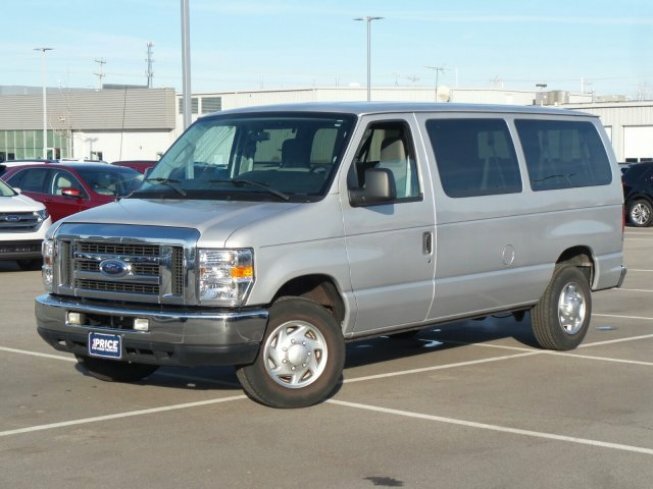 Linda and Bill spent a long time deciding upon what RV to purchase, and the one that they selected is a beauty. Linda has built cat carrier beds into the bunk beds, as well as re-upholstered the RV furniture with cat-claw, resistant fabric. Other upgrades and changes will happen as they figure out how to live comfortably in their new RV home. 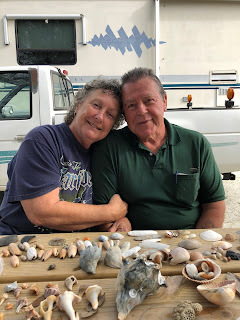 It seems as though Linda and Bill are well on their way to making the RV world work for them, learning about camp grounds, RV maintenance, and living, and most importantly, how to fit right into the camping life. That includes meeting and talking with a great variety of people from many parts of the world.